Say whatever you may, but the success of this woman and her family is by no means an accident. They are masters of their craft. They know how to attract attention and pull you in at every twits and turn of their interesting lives. Jenner’s real name is Kristen Mary Houghton and she was born on November 5, 1955 to Mary Jo Campbell and Robert Houghton. She is mother to six children which include the famous Kim Kardashian, Kylie Jenner, Kendall Jenner, Khloé Kardashian, Kourtney Kardashian and Rob Kardashian. She was born in San Diego, California, U.S. but currently resides in Hidden Hills, CA. How did Kris manage to establish such an intriguing and and successful family? Well, it all started when she met and married to a wealthy lawyer and business man name Robert Kardashian. They were together for thirteen years from 1978 to 1991 and this is where the now popular kardashians fame began. 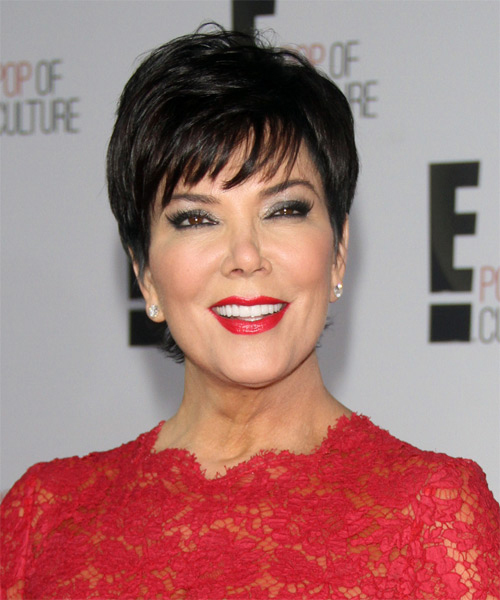 Kris Jenner is the mastermind behind the TV show “Keeping Up With The Kardashians.” She met with Ryan Seacrest in 2008 and the two came to an agreement to film the daily activities of the family. People from everywhere was mesmerized my the family reality series. There was immediate and growing success for all members of the family. Kourtney and Khloé Take Miami (later renamed Kourtney and Kim Take Miami), Kourtney and Kim Take New York, and Khloé and Lamar were two such success spin off stories. The real big success came for other members like Kim with a total net worth of $85 million as of the beginning of 2016. While her children have grown into other careers like acting, modeling and entrepreneurship, Kris is happy to play the role of manager and oversee things. She also own a production company, Jenner Communications, which is based in Los Angeles. Jenner, now 60 years old is so rich she purchased a two-bedroom, four-bathroom condo for $1.65 million in California. Her luxury car collection include Rolls Royce Ghost, Bentley Continental, G-Wagons, and a Range Rover. Total Net Worth: $20 million. All her cars are valued over $250,000. Summary about celebrity net worth.